“They’re certainly the biggest,” she replies with a sly smile. 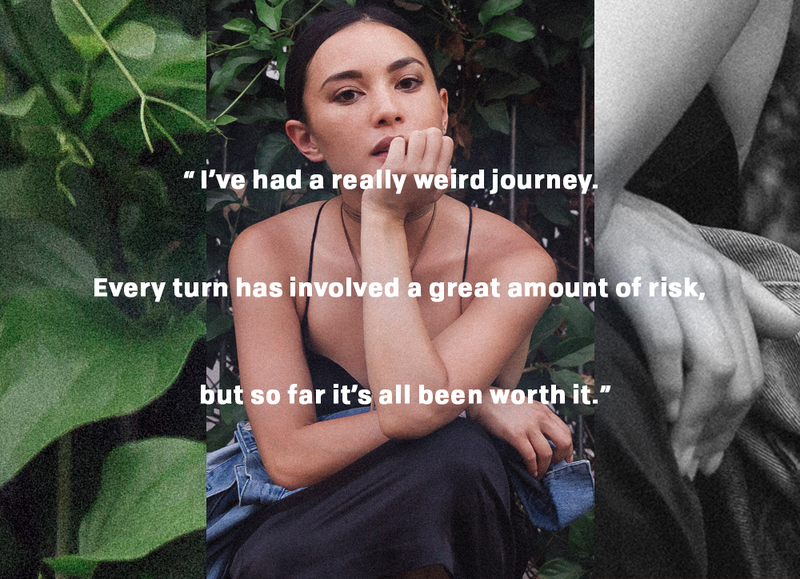 Sam—known to the music world, particularly fans of R&B slow jams, as SOSUPERSAM—quickly launches back into our conversation. I nod, envious. As a writer who is almost always scowling, people who invite the descriptive “nice” have always been strange creatures to me. Most creatives I speak to attribute their success to drive, passion, or Malcolm Gladwell’s 10,000 hours algorithm. I’ve never heard someone attribute it to kindness. Sam and I originally plan to meet at the LACMA café. But it’s closed because it’s Wednesday, a fact neither of us pick up on until we’re there. We see each other wandering the grounds aimlessly, but we haven’t yet discovered our identities. Believing we’re strangers, Sam—accompanied by her fellow Soulection DJ friend and dog, Pickles—asks me for directions. I can attest that even operating under the assumption that I’m an unhelpful nobody, Sam is incredibly nice. What’s more, the second Garden collaborator—Rose—is named for a flower, and Sam lived on Garden Avenue at the time. The title was a no brainer; the project drops on September 23. Sam has entertained multiple passions since she was a young girl growing up in Culver City. “My childhood was great,” she says with a smile, showcasing her pretty white teeth. “I was a happy and outgoing kid, always dancing.” Starting at just 3 years old and continuing throughout her childhood, Sam took ballet, piano, hula, choir, musical theatre, Filipino folk dancing, hip-hop, and jazz. She tells me she was “overly ambitious” and did very well in school. Her cousin managed a DJ crew called the Beat Junkies. He was always bringing over CDs and promos, piquing Sam’s interest in a world she would take over years later. Sam tells me she understood music “first and foremost as a dancer.” In college at UCSD, she danced competitively, but graduated with a degree in economics. She moved back to LA, wanting to do business. She smiles. “But I also had this bucket list dream to be in a music video.” While all of Sam’s friends were applying to jobs at big corporations like Google and Gap, Sam announced to her mom that she was going to get a dance agent. “She was so pissed,” Sam laughs. Sam has mixed feelings about her career as a dancer, which she describes as “cool until it wasn’t.” Dancing was Sam’s first introduction to the entertainment industry—to creativity as a business rather than a hobby. She began to see the dark side of the industry and wasn’t sure how to navigate the politics. While she was successful—opening for the likes of Miley Cyrus, Ashley Tisdale, and Vanessa Hudgens—she found that dancers are underpaid, under-respected, and poorly cared for. The lack of control was also difficult for Sam. Her paycheck was contingent on a pop star’s tour schedule, and she was broke. Sam explains that she was too young and inexperienced to realize there were other ways to support her income besides a 9-5 job. Unaware of the other options (like DJing), Sam quit dancing and entered the corporate world. “What do you think made them like you?” I ask. “What did you play for George Clooney?” I ask. “James Brown, ‘This is a Man’s World,’” she answers swiftly. “That was the winning song. They got the shot and that wrapped right after.” I watch Sam mentally transport herself there. “That sealed the deal,” she says with a smile. “I read that the Annie shoot was a career highlight,” I say, recalling her Q&A with The Hundreds from last year. Sam shoots me a casual smile. “Annie is intense,” she says. “She’s brilliant, but intense.” Sam goes on to tell me that Ms. Leibovitz has a “closed set.” I ask her what that means. “Like I was behind a curtain,” she explains, expanding that Annie would come back periodically with very specific instructions. “I want soul music,” Annie would say. Sam would play Bobby Womack. “Not that kind of soul music,” Annie would say. “Marvin Gaye.” Sam would put on Marvin Gaye. Annie would return from behind the curtain. “Less treble,” she’d say. This anecdote perfectly explains how in just three years Sam went from buying her first DJ equipment to being a go-to DJ for the world’s most famous photographer (Annie Leibovitz continues to hire Sam today). She has an incredible ability to read the room. It relates to what Sam stated is the reason for her success—that she’s nice. The most successful DJs possess what my editor called an inarticulable psychic empathy, an ability to know what people want to hear more than they do themselves, to alter the vibes of the room and the people in it so that they become what my best friend calls, 1-800-feelin-themselves. It’s clear that Sam’s innate talent in this arena has contributed to her immense success. I see what she means when I arrive at 143, the iconic party that Sam co-founded—my friend and I are shocked by the massive crowds whirring outside the Echoplex. It looks like we’re standing outside the gates of Coachella. Sam and her co-founders never imagined that 143 would get this big. In fact, they joked that “no one will come to this awful idea” because slow jams are the “opposite of a turn up.” But boy were they wrong. The monthly party has changed locations four times to fit ever-expanding crowds (after Lock & Key, it moved to Footsies in Cypress Park, followed by Los Globos in Silver Lake, and finally the Echoplex this winter). They’ve also hosted the night in a number of other cities—San Francisco, San Diego, Honolulu, Seattle, Vancouver, New York City, and Miami for Art Basel. In fact, when we talk, Sam is about to take off to the East Coast for 143’s inaugural party in Brooklyn. In addition to expanding to a number of cities, the very artists whose music inspired 143 have ended up playing it—Ginuwine hosted a 143 event in December 2015, and this past Valentine’s Day, Ja Rule and Ashanti performed. 143 has also hosted many of Sam’s DJ “heroes,” including A-Trak, Cosmo Baker, and Questlove. Her only hero they haven’t yet featured is J.Rocc. When I ask whether she’s tried, she shakes her head, pauses, and says, “I think I’ll try to get him now.” She punches something onto her phone. Instead, Sam has always wanted to sing and dance. The same voices that encouraged her to produce have discouraged her from singing, as there are no famous examples of DJ-turned-pop star. But Sam isn’t letting the lack of a template for this transition deter her. She recently premiered her monthly mix series, SUP?, in an effort to introduce her vocals to the world in a format with which she and her fans are comfortable: the DJ mixtape. 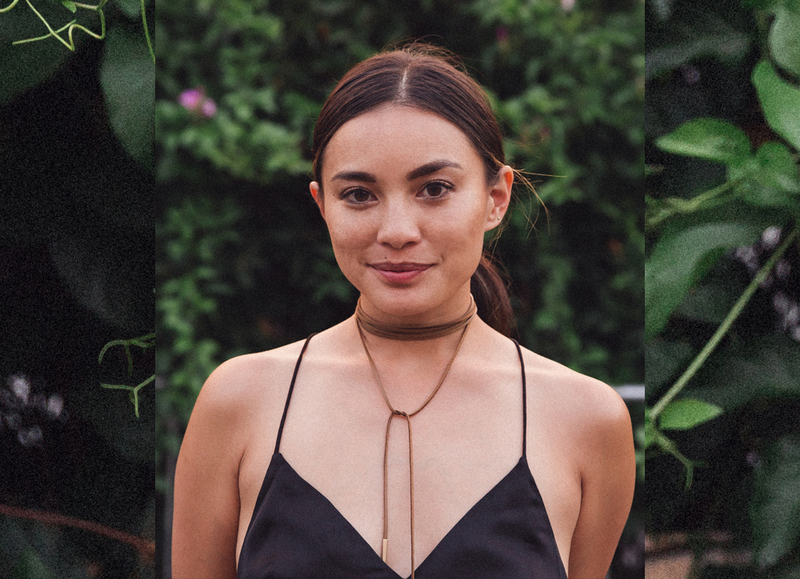 Each of the three mixes begins with a SOSUPERSAM original. “I think it’s done,” she says. “Three is a nice round number.” Next step: Garden. I end our conversation by asking Sam where she sees herself in five years. She laughs, again returning to the moment. “That’s my life advice,” she says self-mockingly. “Keep following... whatever.” It’s yet another graceful act of disarmament that makes the stunning, successful woman likeable—warm, nice. And I sincerely hope that in five years Sam Duenas is living on a yacht, beautiful baby in her arms, blasting slow jams while cruising from one sold-out performance to another… all of her gardens in full bloom. The Garden EP drops on September 23 at sosupersam.com. 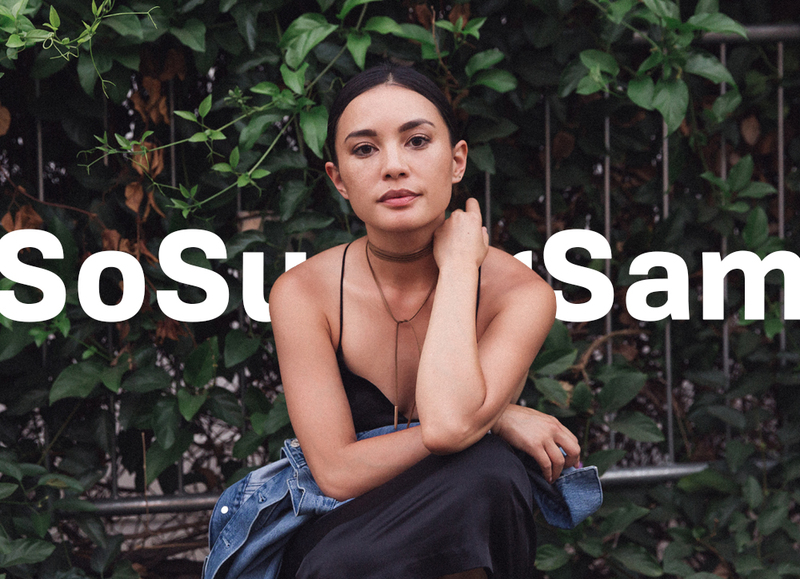 Follow SOSUPERSAM on Instagram @sosupersam, Twitter @sosupersam, and Soundcloud. Keep up with 143 at 143.is. Photography by Max Reyes. Creative by Tom Winslade.